It is a pleasure to help such hard-working students. Image: Brahim Boucheikha. It was a delightful feeling to go back to the IRCAM (The Royal Institute for the Amazigh Culture) to give this workshop about Tifinagh type design with Brahim Boucheikha. I still remember my research trip to Morocco in 2014, when I was working on my dissertation, and how I was welcomed and helped at the IRCAM. 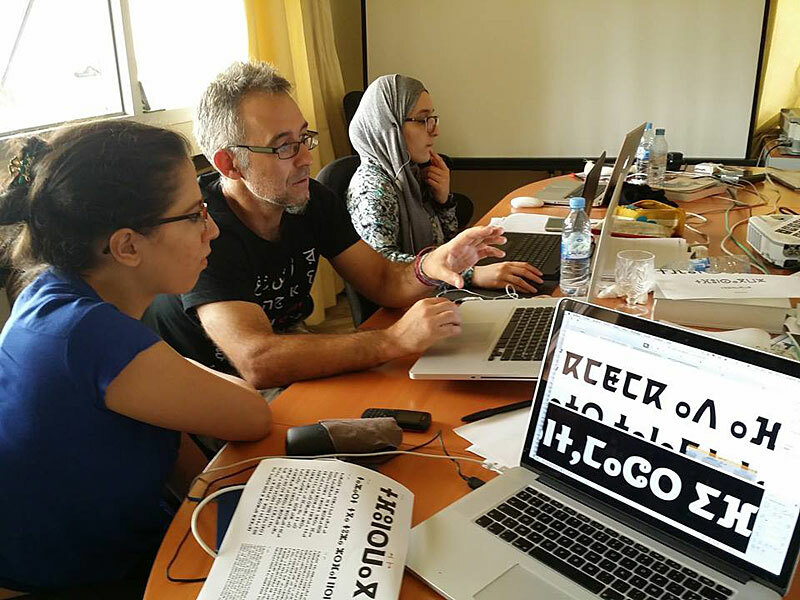 This time, I was really pleased to give back my knowledge about typography to five enthusiastic Moroccan students. The workshop took place from July 18th to 22nd. After an intense week we were able to present a bunch of new projects that will certainly enrich the typographic scene of the Tifinagh when they are eventually completed. The projects aim to cover different needs according to the briefs they choose. This year the approach was clearly more functional than the previous workshop, which put the focus on expressiveness. I want to take this opportunity to thank the IRCAM for all their help in my research, and specially for their commitment to the development of Tifinagh type design as a tool for the promotion of this peculiar alphabet and the culture it belongs to. 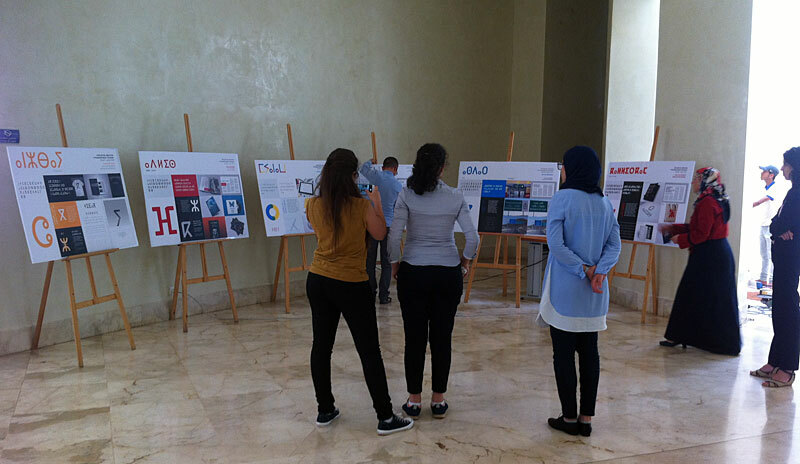 I also want to congratulate the students: Chaymae Ejjakhch, Maha Mouidine, Meriem Mghazli, Issam Battoum and Jawad Ait Hammou, thank you for your dedication and hard work.